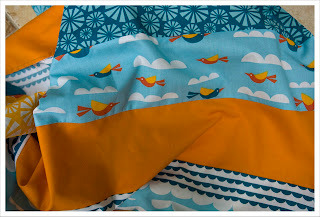 I have sewn a marathon over the weekend. Finished all the curved pieces of my single girl quilt (post to come) and did a quilt-top and quilt-back of my new "Marine" fabric from Birch. 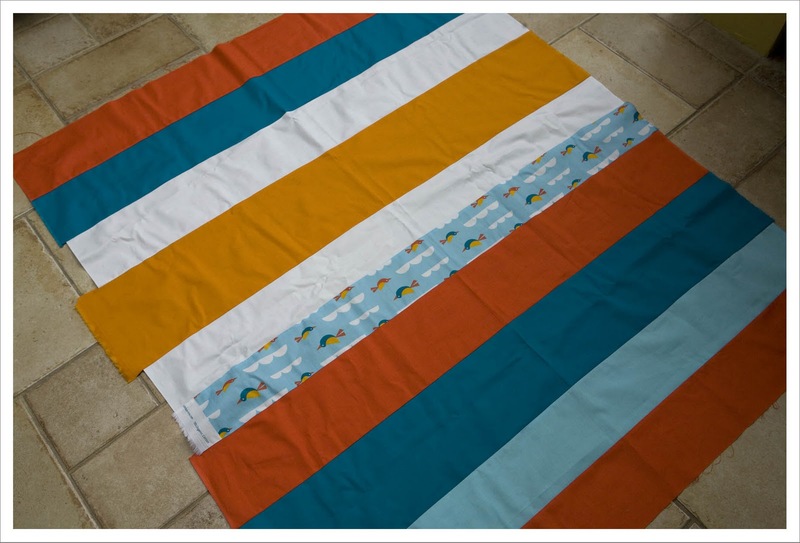 I debated for a little while whether I shouldn't do something more "quilty" as in little pieces or at least an "I Spy" quilt but in always ended back at my first idea and that was stripes. 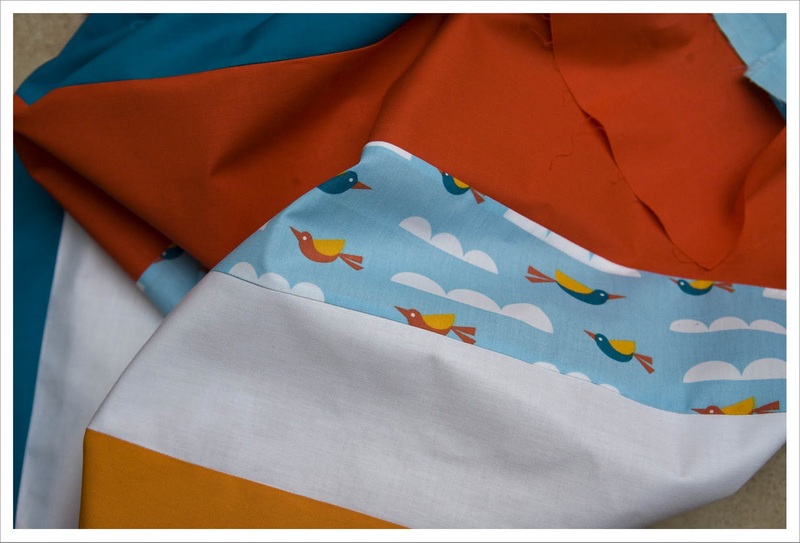 I think a quilt pattern should first and foremost be informed by the pattern of the fabric. 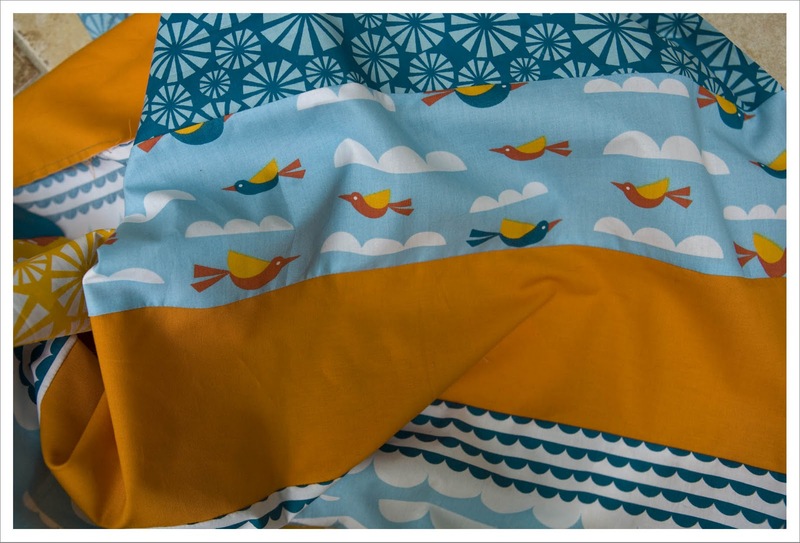 That is not to say that large patterns don't look good in many small pieces because they do!! But I think this pattern lends itself beautifully to stripes as the birds, submarines and fish are repetitive in a very pleasing way. I can already see a little one pointing to them, maybe even my 2 3/4 year old nephew. 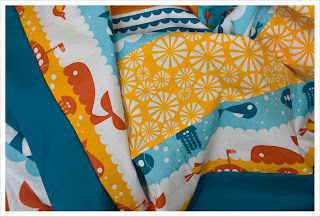 So without further ado here are the images of my "All the fish in the sea" quilt. Don't you love the title ? I will post more details about size etc when I finish it but it is around 50 inch by 45 or so. 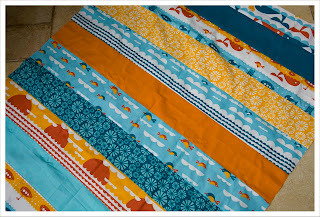 Quilting will have to wait though as I am on aunt/godmother duty from Thursday onwards. Best duty ever duty !!!! The stripes work so well with this fabric!